Puppies and kittens are undeniably cute, but as responsible pet owners, there are at least 2.7 million reasons why we should spay and neuter pets. That’s the number of cats and dogs killed in shelters every year because there’s not enough room and not enough people willing to adopt them, according to DoSomething.org. By spaying or neutering your cat or dog, (also known as “fixing”) you won’t be contributing to this yearly tragedy. But there are also plenty of other reasons why spaying and neutering are so important. When it comes to low-cost pet neutering and spaying, nothing beats the great deal you get when you adopt a pet from an animal shelter or rescue. Petfinder explains shelters and rescue groups often include spaying, neutering, vaccines, microchipping, deworming treatments, and other basics as part of your adoption fee. Since adoption fees generally range from $60-$150 and the above procedures cost $425-$880 (depending on where you live and the age and type of pet), going through an animal rescue or shelter’s well worth your while. But if you rescued your pet yourself or got it from someone you know, you’ve still got options. The ASPCA has a huge database you can search by zip code, with veterinarians who willing to spay and neuter pets for a low cost. Petfinder also has a page where you can search by location, type, breed, age, and gender. Your local animal shelter’s also often a good bed. Many do these procedures onsite. If you’re elderly or low income, your local ASPCA or Humane Society may even spay and neuter pets for free. A top reason for why we should spay and neuter our pets is because it helps them stay healthy and live longer. 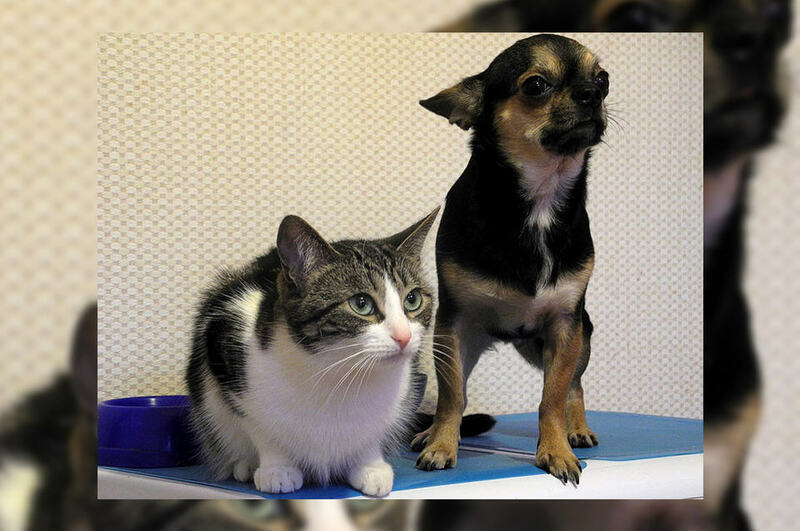 Female cats and dogs will be healthier and live longer, The American Society for The Prevention of Cruelty to Animals (ASPCA) reports. Spaying can prevent uterine infections and breast tumors. In general, these tumors are malignant or cancerous in about 50 percent of dogs and a whopping 90 percent of cats. The best way to protect your pet and prevent these problems is to spay her before her first heat cycle. Neutering your male pet prevents testicular cancer as well as some prostate problems. Another reason why we should spay and neuter pets is because they behave better when they’re not in search of a mate. Your spayed female kitty or pooch won’t go into heat. For cat owners, heat cycles can be rather odoriferous and perhaps a bit noisy. Female kitties usually go into heat for about four or five days every three weeks or so. During this time they advertise for mates, and in so doing, they yowl and urinate frequently — often all over the house. If you own a male dog, he’ll be less likely to wander. Intact males will do whatever they can to find a mate, and this includes finding inventive ways to escape the confines of your home. And once he’s gained his freedom, he risks being hit by cars and may fight with other male animals. Neutered males are often better-behaved. Those that aren’t neutered are much likelier to mark their territory (your house) with foul-smelling urine. If he’s neutered, your dog will be less likely to try to mount other dogs, your kids, and inanimate objects. Neutering may also lessen some aggressive tendencies. Meet Starbuck! ❤️ "My name is Starbuck (@starbuckthepom). My mommy got me from a rescue organization called All Mutts Matter in Delaware. I am a Pomeranian mix and a very good girl!" At What Age Should We Spay and Neuter Pets? The conventional veterinary wisdom on when to spay and neuter pets is to do it when they’re young … but not too young. Puppies: There is some controversy over when to fix puppies and when kittens should be neutered or spayed. For puppies, most vets usually neuter them between the ages of six to nine months. Some say puppies can be neutered as early as eight weeks as long as they are healthy. Female puppies can be spayed any time after eight weeks and should be spayed before their first heat cycle, DogTime reports. Kittens: Sometimes these babies are spayed as early as eight weeks old. In fact, many animal shelters do this prior to offering kittens up for adoption. The ASPCA also recommends that if you own a kitten, it should be sterilized when it’s about five months old before the kitty has a chance to start spraying or become pregnant. And, in case you need to do this, it’s okay to spay her if she’s in heat. Exotics: Rabbits, snakes, hedgehogs, guinea pigs, ferrets, and other exotics are actually quite common. But they’re called by that name because they require specialized veterinary care. Because smaller animals have smaller reproduction systems, they’re often more costly to spay and neuter. It’s often only recommended if there are animals of both sexes. Your local rescue group, animal shelter, or pet shop can give you recommendations for their care and direct you to a veterinarian who can help. "Don't even worry that it's Monday! Wally's here for you! I'm HERE!" But keep in mind that some of this is now being disputed. Care2 reports that a study by the UN National Library of Medicine found that dogs spayed or neutered before they reached a year old were taller than those that weren’t, and while this sounds like a positive thing, it wasn’t. They also had narrower chests, lighter bone structures, and narrower skulls. As a result, limbs are placed under more pressure, and this can result in injury. An additional study also published by the Library found that dogs spayed or neutered earlier than 24 weeks were likelier to develop infectious diseases than their older counterparts. And female dogs spayed earlier than 24 weeks were plagued by urinary incontinence. Spaying or neutering your pet is considerably cheaper than having and caring for a litter. It can cost up to $200 to have Fluffy or Fido fixed, but fortunately, many vets offer low-cost pet neutering services. And the ASPCA also offers a comprehensive database that allows you to find low-cost spay and neuter providers near you. If you have befriended a feral cat, lovethatcat.com also helps you find low-cost pet neutering providers. What About Pet Insurance for Spay and Neuter Procedures? The amount of coverage your pet will receive is entirely up to the insurer and their coverage or reimbursement limits for these procedures. You can check out this chart offered by PetInsuranceQuotes.com to compare wellness plans and read reviews before you choose a plan. Do You Want to Share the Love? You can help others spay and neuter pets by donating to programs like the North Shore Animal League’s SpayUSA referral network, which has helped hundreds of thousands of people find affordable spay and neuter care for their pets over the last 20 years. Snap (Stop The Cycle) is another program dedicated to helping dog and cat owners find free or low-cost pet neutering services, and it takes donations as well. Those of us who spay and neuter pets and donate to organizations that provide these services are helping to end the cruel cycle that results in so many beautiful cats and dogs languishing and dying in over-crowded shelters. It’s a kind way to pay things forward. Featured Image: CC 0 Public Domain Mobinovyc via Pixabay.